Let’s be honest, Wednesdays are no one’s favourite. They’re the Picnic in Heroes, the Slytherin in Hogwarts, the runt of the litter (aw). To make this Wednesday a little better we thought we’d let you know you’re lucky enough to be slap bang in the middle of Women in Sport week, so that’s not so bad eh? We want to share some of the bloody brilliant athletes that we love, and the different ways that businesses can support athletes of all ages. And, although they might seem like two very different things, businesses can also benefit from a bit of a sporting mindset. Thankfully the days are gone when the only piece of sporting equipment a woman could wield was a whisk, but – just like women in tech – it’s still important to highlight the inspirational women in the field; both on an international and local level. At UKFast sport is a pretty big part of our company culture, and the women here are some of the fittest, fiercest people I know. Seriously, women here I’ve got a good foot on height-wise could have me in a fight. UKFast is a big fan of women in sport; here are some of the things we’re involved in. We’re big fans of Olympic and Commonwealth middle-distance endurance runner Diane Modahl and the Diane Modahl Sports Foundation (DMSF). We’re lucky enough to be a partner of the DMSF, which helps young people through sport and education. We help out in a whole bunch of ways, like by getting the young people she works with to come and train in our gym. In return, it inspires our team and gives the whole community a boost, encouraging the next generation of leading lights. Sometimes Diane comes in and motivates our running club too, and has delivered inspirational speeches to the entire UKFast team! One of the people that the DMSF is working with closely is the amazing Aimee Pratt, who competes in the Steeplechase – this June Aimee defended her world junior qualifying time in the women’s 3k steeplechase; she’s one to watch! Winter Olympian Bex Wilson is another amazing athlete that we’re thrilled to have had the chance to work with. 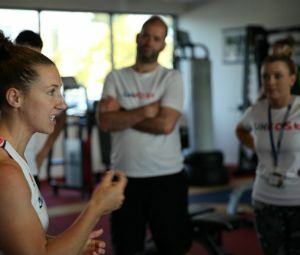 Originally coming into UKFast through her work with DMSF, Bex now comes and runs training sessions for UKFasters (read: absolutely destroys them) and is a familiar, friendly face around UKFast Campus. If you want to find out more about Bex’s thoughts on tech in sport – and the tech she’d recommend for any enthusiastic amateur – take a look at the interview we did with her. Another incredible sportsperson that we love is squash champion Laura Massaro, whose highest achieved ranking is number one in the world. We’ve sponsored Laura for a number of years now and she has also worked closely with our CEO Lawrence for many years on goal setting – which is equally as important in sports as it is in business and any other area of your life. We’re big fans of teamwork here too, and in supporting locals – very local, in this case. 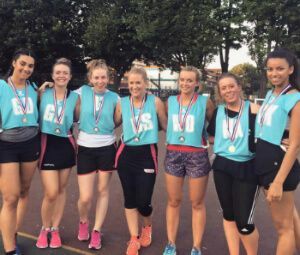 The UKFast and Furious netball team are reigning champs of the Simple Netball League (“It sounds simple but it’s not,” says Liz, one of the players) and if you’d seen them in action, you’d understand the level of commitment and passion that goes into their games and training! 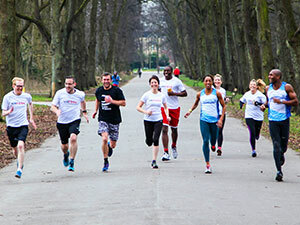 Lawrence often talks about the benefits of a healthy body on a healthy mind, and the role sport plays in keeping the UKFast team at the top of its game, both in a sporting sense and at work. If – like me – you’re a bit of a sportsphobe, surrounding yourself with other frustratingly motivated people can be a good thing and it’s all about mindset – just ask any of these women. Happy Women in Sports Week – who are your favourites? If the team that you want to be part of is the UKFast team take a look at our website!